Littlehampton Swimming Club swimmers were in action at the Swim England South East 15 and Over Swimming Championships 2017 this weekend. Four swimmers achieved base qualifying times for the youth regionals, but out of 12 times achieved only 3 were accepted due to the meet being heavily oversubscribed. Luckily all 3 events were on the same day as this competition was in Wycombe, the first time we have visited this new 50m pool. Jess Frayne was first up in her 50m butterfly where she achieved a season’s best in a time of 30.17s, finishing 15th. 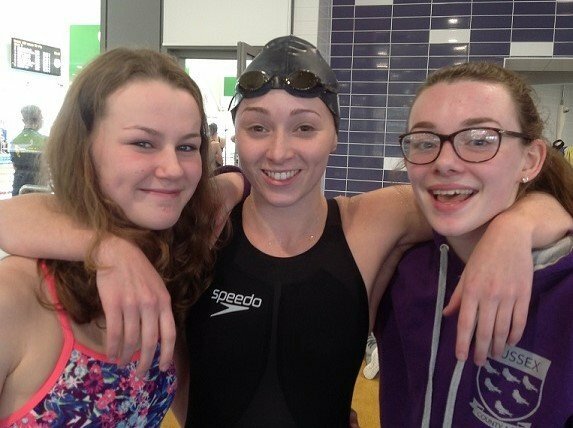 Jessie Brown finished 11th in her 200m butterfly, whilst Abby Smith came 19th in her 100m breaststroke event. Just to get to the Regional Championships is extremely hard, so all three have done brilliantly, showing they are among the top swimmers in the Region! Next up will be our age group swimmers at the end of May when Tom Hogg, Ollie Iden, Eaun Macleod and Matty Smith will be competing at K2 Crawley in the Regional Age Group Championships.